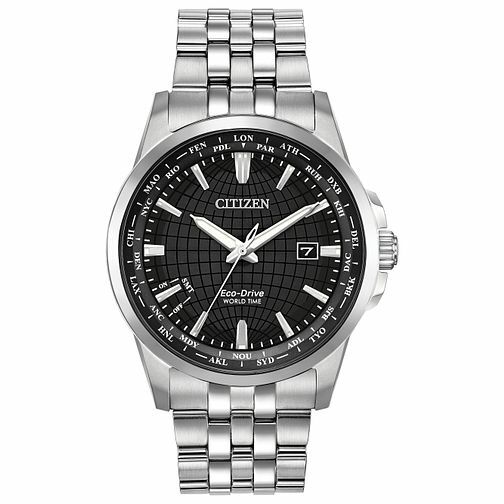 A classic men's timepiece by Citizen boasting a stainless steel case and bracelet. A bold black dial presents a subtle world pattern, co-ordinating with the world time feature around the outer dial. Hour indexes and three hands are presenting in sleek silver tones, and a practical date display sits in the 3-o-clock position. Running on award winning eco drive movement, this watch is finished with a sapphire crystal.